Find Trends, Q&A and more! 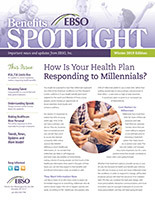 Download EBSO's Winter 2019 Benefits SPOTLIGHT. Find Trends, Q&A and more! 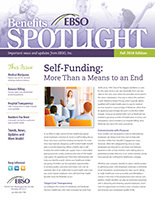 Download EBSO's Fall 2018 Benefits SPOTLIGHT. Find Trends, Q&A and more! 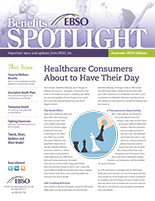 Download EBSO's Summer 2018 Benefits SPOTLIGHT. Find Trends, Q&A and more! 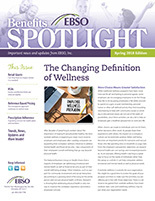 Download EBSO's Spring 2018 Benefits SPOTLIGHT. Find Trends, Q&A and more! 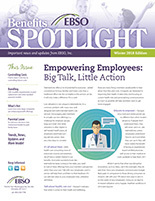 Download EBSO's Winter 2018 Benefits SPOTLIGHT.